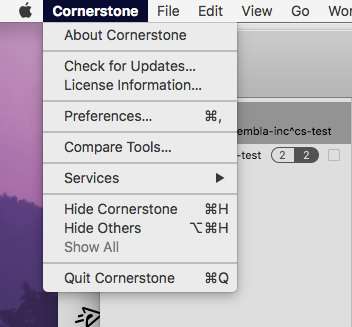 Inserting your license key to the Cornerstone app can be accomplished in 3 easy steps! The dropdown menu on the top left of the screen includes the option License Information. Click on that. 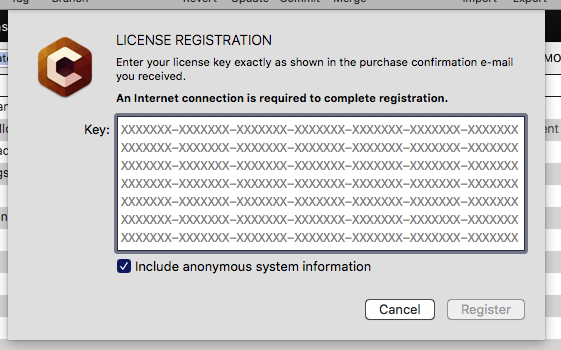 Once you've entered your license key, click the Register button.